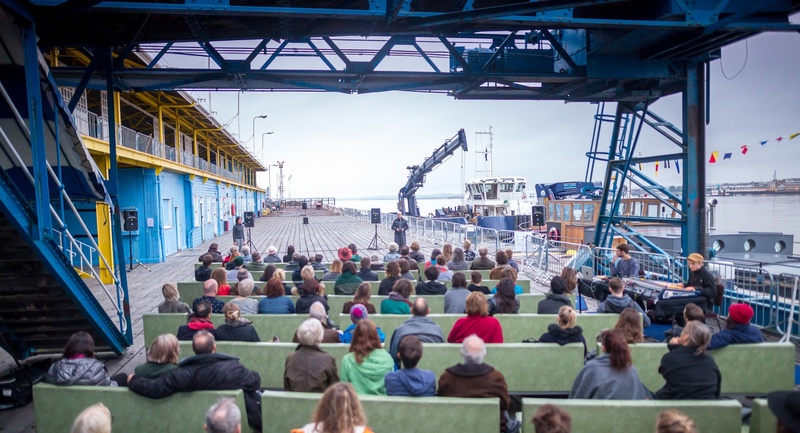 Raga Dawn was a performance at sunrise (6:38AM) by acclaimed vocal performance artist, Caroline Bergvall, with singer Peyee Chen in a unique composition by Gavin Bryars and a site-specific sound design by Sam Grant. 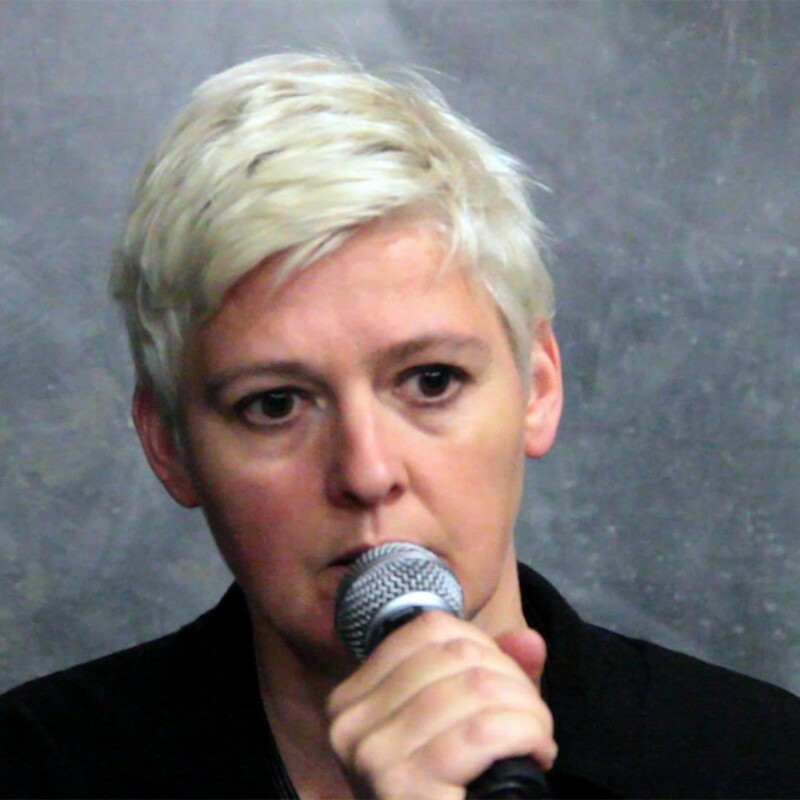 Caroline Bergvall is an artist, writer and performer working across artforms, media and languages, based in London and Geneva. The recipient of many awards and commissions, her work frequently develops through exploring material traces from a range of sources: linguistic detail and typographic marks, forgotten or contemporary languages, literary documents, art and pop culture, sites and their histories, as well as physical and vocal performance modes. Starting-points and source materials emerge readily from a mixture of historic languages and contemporary cultural artifacts or political events. Her projects include poetic works, audio pieces, drawings, installations, and live performances, often in collaboration. RAGA DAWN is a sunrise vocal performance to be performed outdoors from the last hours of the night until the very early morning. A composition for two voices (spoken and sung) and site-specific sound. A vocal and vibratory sound trajectory to ease into the slow rising of the day. It will conclude in a collective breakfast event, directly following the performance. The work was co-produced by Metal and Festival de la Batie, Geneva. Financial support: Ville de Genève, Etat de Genève, Fondation Wilsdorf, Fondation Göhner and Norwegian Embassy. Book your free coach ticket from London (outside Museum of Childhood on Bethnal Green) or Southend on Sea (Chalkwell Park carpark) More details TBC. Parking available outside the Tilbury Cruise Terminal, after which you will be asked to repark your car at another dedicated carpark.